There’s no denying that This Is Us is an all-’round wonderful, beautiful and emotional series. It is also comprised of beloved characters played by some of the most talented people in Hollywood. 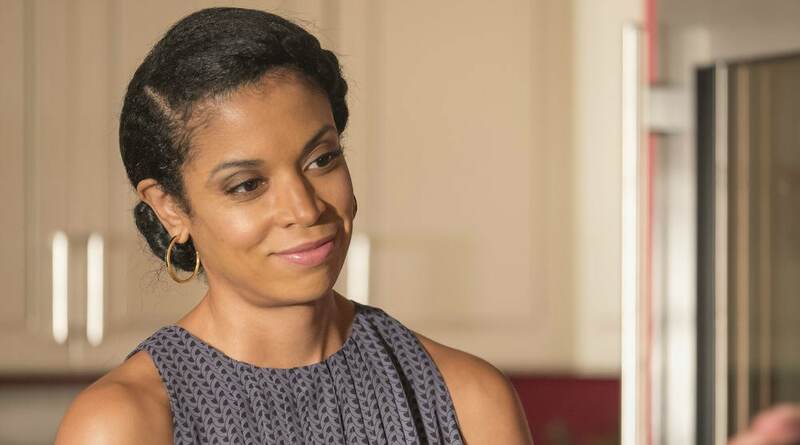 Of course, everyone loves the key players, especially Randall (Sterling K. Brown), but it’s time we talk about Beth (Susan Kelechi Watson). Beth deserves so much more love than she gets. Yes, viewers adore her very much, but a light needs to be shined on Beth’s greatness. And as Watson told BuzzFeed in September, “I hope that people learn more about her and have the same appreciation for who she is. If nothing else, they get more of her point of view on the world.” Absolutely. With that, let’s focus on just a few of the amazing parts of Beth, which in turn make her the best This Is Us character. It’s important in a relationship to see your partner as your equal. That’s exactly what both Randall and Beth do. But more often than not, Randall is the one leaning on Beth. She never talks down to him or dismisses him or his feelings. She is 100 percent there for him and treats him with the utmost respect. Beth and Randall are “perfectly imperfect,” as he declared in the Season 2 premiere. When it comes to Beth, she is pretty much a perfect wife, whether she’d like to admit it or not. She’s honest. She’s supportive. She’s kind. She’s fun. She disagrees with Randall. She doesn’t back down. She encompasses everything that a great partner makes. Sometimes, Randall has these big dreams or wants to make major life moments happen immediately, but that’s not how life works. Enter Beth, who is there to talk sense and truth about the situation. For example, when Randall announced he wanted to adopt a baby, Beth wasn’t just going to give in without really thinking about it and what she truly wanted. She isn’t afraid to take on the harder conversations. This doesn’t mean Beth doesn’t love Randall’s family, but she doesn’t mince words when it comes the Pearsons. There was that time she confronted Rebecca about her knowing William and then there were all those times she was upfront with Kevin living in their home. Oh, and she also doesn’t care that Randall knows just how much she doesn’t find The Manny funny. Most of the time, she is the one diving right into the stuff that life presents us. By doing so, she also pushes Randall to face the tougher issues and guides him in the right direction. Come. On. Nobody is that good at pretending to smoke. As much as she is a part of Randall and he is a part of her, Beth is also her own person. Being a wife and a mother doesn’t define who she is. She has her own dreams and goals she sets for herself. Oh, and she is now the sole breadwinner of the family, while Randall is a stay-at-home dad, which he is totally OK with. This makes them both great role models for their daughters. When Beth has fun, she has fun, especially when it matters most. How can anyone forget that time William was in pain, so they smoked weed together? Really, this GIF says it all. When or if anyone is trying to hurt her other half, Beth is going to step in as his protector. This is exactly what she did after William’s arrival. She didn’t want Randall being taken advantage of, so she gave quite the epic speech. Yes, she was a little concerned when Randall first found his biological father and then invited him to stay, but as time went on, Beth learned to love William. Eventually, she let her guard down, didn’t judge him and got to know the truly sweet and amazing man William was. Hey, This Is Us, like you’ve done so far in the first three Season 2 episodes, give the fans what they want: more Beth.